Liposuction of the neck is an ideal procedure for people with some fatty tissue in their neck. It is not a good procedure for people who have other issues with their neck such as lax muscles or skin. These problems would be better addressed with a face or neck lift. A neck liposuction is ideal for a young patient with isolated fat in the neck or submental area. It will also enhance the jawline . 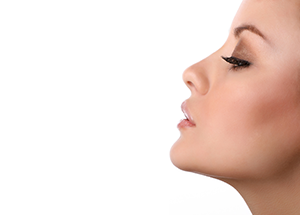 Neck liposuction is an outpatient or ambulatory procedure . It can be done with twilight anesthesia. It is often combined with other procedures such as rhinoplasty or chin implant. After the procedure there will be a bandage around your head and neck that Dr. Levine will remove the next day . A small band should then be worn for the next week, and at night for the next few weeks. There will be 2-3 small sutures that will be removed around 6 days after surgery.